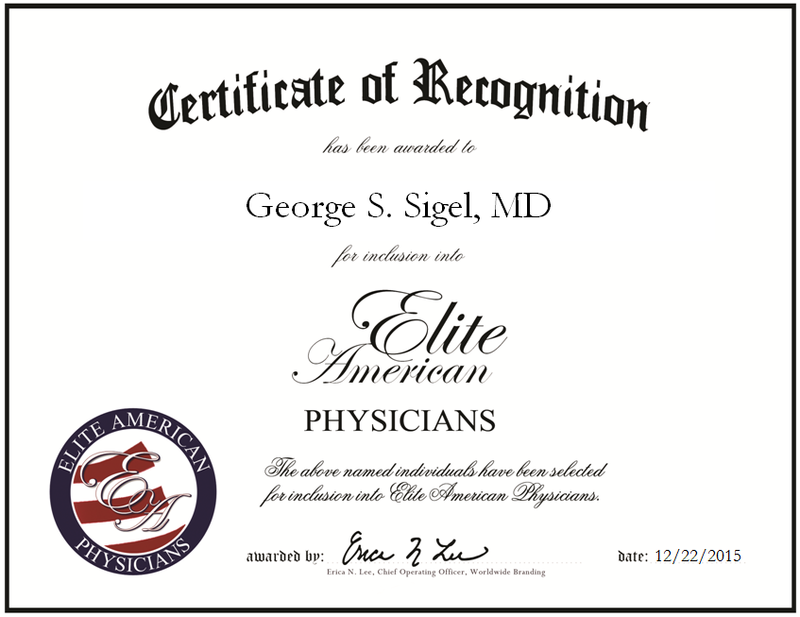 Boston, MA, December 22, 2015, Dr. George S. Sigel, Medical Doctor at Tufts Medical Center, has been recognized by Elite American Physicians for dedication, achievement and leadership in psychiatry. A board certified psychiatrist with more than four decades of experience, Dr. George S. Sigel is in charge of directing programs at Tufts Medical Center. He earned an MD from Tufts University, and specializes in chronic mental health, addictions, and community, forensic and geriatric psychiatry. Dr. Sigel is also the Founder and Program Director of the South Boston Behavioral Health Program. For the past 20 years, he has been a part of the Department of Psychiatry at Tufts Medical Center, which was established in 1971. Over the next five years, Dr. Sigel intends to experience continued professional growth. 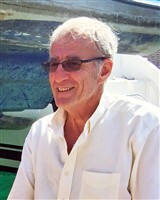 Dr. Sigel is affiliated with NAMI, and is highly regarded in his community. In 2005, he was recognized as a fellow by the Boston Neighborhood Fellows (BNF) program. BNF is a part of The Philanthropic Initiative, and aims to support the change agents who quietly make vital contributions to the quality of life in and around Boston. This entry was posted in Psychiatry and tagged addiction, forensic psychiatry, geriatric psychiatry, mental health, program director. Bookmark the permalink.